(Located in Ex-Woolworths Store Colwyn Bay) With over 25 years of service and excellence within the local furniture retail trade we offer a wide selection of furniture for every occassion. We offer the best prices on the finest furniture brands. Including leading names: Slientnight, Buoyant, Kingstown, Caxton and many more. 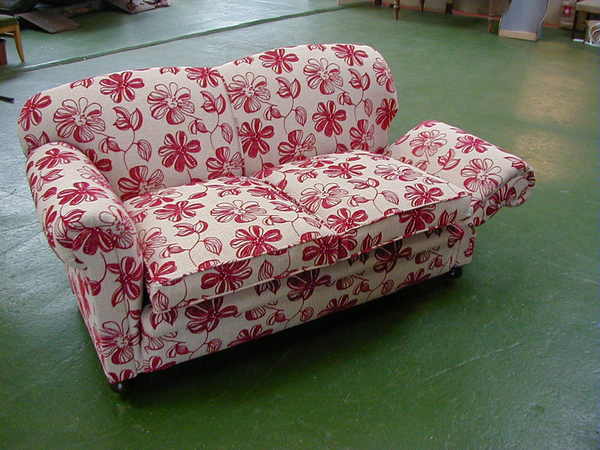 Craig Hughes Upholstery has been established over 30 years. Craig started as an apprentice in Manchester and eventually he started his own business in 1987 in Urmston, Manchester where he became known in the area for his excellent work. All Craig's work in Manchester was by way of recommendation and it is still the same today. In 1998 Craig Moved his business from Manchester to Colwyn Bay, North Wales and has become well known throughout the whole of North Wales and takes on work for many local Antique Dealers and Interior Designers and has a good relationship with local businesses and also in Anglesey. MijMoj is a young fresh creative company, designing contemporary furniture to order, using a variety of materials including wood, metal, glass and plastic to suit your individual budgets. All products are individually designed to meet each client's exact requirements and then lovingly hand crafted.